Mercedez Vargas really wanted to get her high school diploma, but she struggled to get passing grades at a last-chance night school in the Bronx just as she had in the daytime at Marie Curie High School. A college degree? That seemed an unattainable fantasy. She was ready to give up when a staff member from a nearby nursing home, of all places, came and spoke to Vargas and her classmates. He offered to help them finish while they worked in paid internships and got training to become home health aides, which are in critically short supply. The program gave her new direction. Meanwhile, an academic mentor assigned by the nursing program, Molly O’Brien, stepped in to prod Vargas through an online program that finally got her a diploma. “Molly helped me finish school,” she said, tears filling her eyes. And the $15 an hour she’s now making at the nursing home gives her hope she might achieve the next step: getting to and through college. This isn’t simple altruism. It’s a manifestly practical arrangement. The geriatric health care company, Jewish Home Lifecare, needs a pipeline of workers for itself. And showing them a route to these well-paying jobs has proven to focus drifting students on getting the college degrees they need to get there—even as policymakers and educators themselves struggle in vain to raise enrollment and graduation rates. The Geriatric Career Development program provides academic counseling and paid training and internships that lead to health-care certifications. Students can then land good jobs that make it easier to work their way through college than they could at the minimum wage. Three of the top six occupations projected to add the most jobs in the next decade are in health care — registered nurses, home health aides and nursing assistants — so health care providers in many parts of the country are developing programs like these to attract more employees. But the Bronx-based Jewish Home approach is unusual, dedicated not only to creating that workforce, but also to helping at-risk youth. Ninety-five percent of the program’s students, most of whom live near or below the poverty line, enroll in college. The students are recruited when they’re entering their sophomore years at high-poverty public high schools in the Bronx and upper Manhattan. There are no academic requirements, but students have to show enough interest to attend an open house and fill out an applications. If they’re accepted, the students are trained to become certified nursing assistants by the time they’re high school seniors. Jewish Home’s geriatric training program, which is paid for mostly by private sources and with some government funding, offers a career and academic support program that runs after school, during spring and summer breaks, and throughout college. The program costs $1.4 million annually, or an average of $4,500 per student, per year. Participants come after school for four hours twice a week to get academic, job and college prep, as well as a free meal. 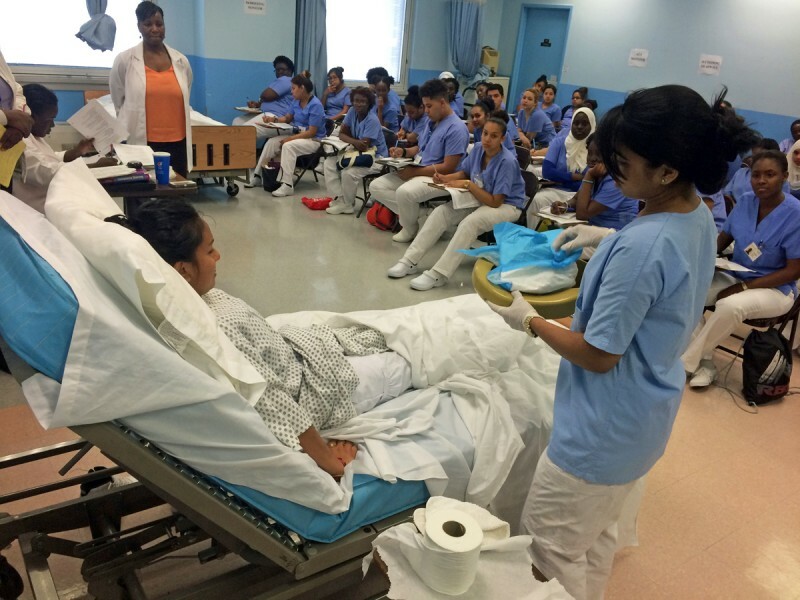 Juniors go on college visits and rising seniors take a 10-week summer course aimed at passing the state nursing assistant exam. While their high schools have an average graduation rate of 61 percent, nearly 100 percent of students in the program graduate. They also end up in good financial shape to pay for college. Certified nursing assistants in New York State on average earn just over $15 an hour, or about $32,000 a year. About three-quarters of the students in the program have family incomes below $30,000 a year and about half come from families whose annual income is below $20,000. 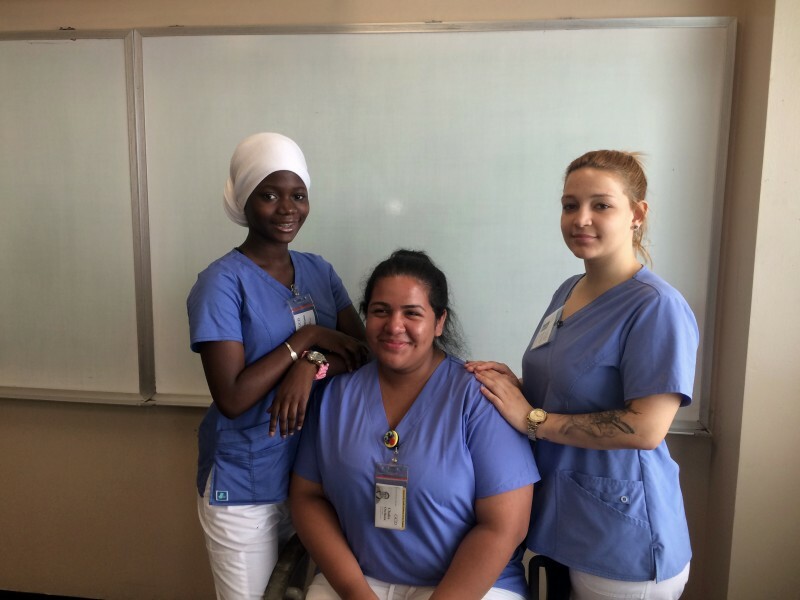 Lemy said the academic help and the prospect of getting that license were the main reasons she signed up for the program, especially since her mother had twice tried to pass the CNA exam and failed, and now works in retail. “She’s telling everyone, ‘Oh my god, look at her, she’s gonna get it,’” said Lemy, breaking into a big smile. Two years after the program started in 2009, just over half the students were passing the state exam. The staff revamped the training by introducing some skills during sophomore year, such as how to check a patient’s vital signs, and simulating the pressure and anxiety-producing conditions of the exam itself. It also bumped up its training hours to 200, from the state-mandated 130. The pass rate on the CNA exam jumped to 94 percent. Most nursing assistant training courses cost about $1,000, plus books and the $115 exam fee. Students in the geriatric care program, by contrast, are paid up to $1,000 for taking part in the 10-week summer program, depending on their attendance and participation. Summer Fridays are spent preparing to write college essays and choose schools, and the fall is fully devoted to filling out college applications. Registered nurses in New York, the next step up from certified nursing assistants, make more than $36 an hour on average, and more than $77,000 a year. But that requires a college degree. And while not all the students in the program make it through college, 80 percent of those who have participated since 2009 have either gotten a degree or are still on track to getting one. Students who work in unionized facilities as certified nursing assistants are also often eligible for full tuition reimbursement. The Jewish Home has fared well, too, in its goal of filling jobs. Of the nursing home program’s 430 graduates, 75 have worked there as certified nursing assistants, and administrators hope that others will return as RNs once they’ve finished college. But that’s proven to be hard work, thanks to harsh realities about public education in places like the Bronx. These students often come from high schools where they got good grades for simply showing up and turning in their work on time, said program director Toni Sexton. Weeks are spent helping the students craft college essays, since their own guidance counselors don’t have time to do this. Days are spent discussing whether, for example, becoming a doctor is a realistic goal for students who don’t like science or have failed biology. But the program’s principal strategy is to motivate students by giving them a clear career path. Last year, after Vargas completed the training and got her high school diploma, she was hired as a home health aide. She worked 12-hour shifts, finally becoming able to support herself and move out on her own. She tried to enroll in an emergency medical training course, but didn’t have enough money to cover the tuition deposit. 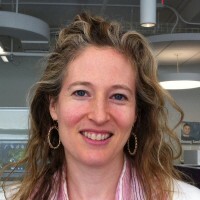 Her mentor, O’Brien, convinced her to cut back on her work hours and enroll in the nurse assistant course this summer, when she spent from 9 a.m. until 4 p.m. at Hostos Community College in the Bronx, where the certified nursing assistant classes are held, and then works evenings and weekends as a home health aide at the Jewish Home. She had to move back to her mother’s two-bedroom apartment with her two younger siblings, but she sees it as temporary. Vargas is feeling confident about passing the certified nursing exam, program staffers are encouraging her to take the next step toward a degree, and she’s still connected to the mentor who helped her through school the first time and is trying to do it again.